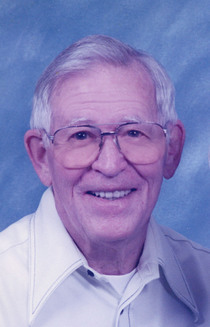 Brady E. Smith, age 89, of Woodsfield, Ohio passed away Saturday January 17, 2015 at the Woodsfield Nursing and Rehab. Center Woodsfield. Born June 27, 1925 in Woodsfield, a son of Brady Clement Smith and Bessie Nina Holmes Smith, also to this union was born Thelma Ellene Smith March 29, 1934. Bessie Nina Smith died June 24, 1934 and Brady Clement Smith died July 27, 1954. Brady graduated from the Woodsfield Grade School in1940, and went to Woodsfield High School and finished his junior year, then enlisted in the United States Marine Corps at age 17 on May 23, 1943. Brady went to boot camp at Parris Island, SC. He served at Cherry Point, NC, Oak Grove, NC, Jacksonville, FL, and graduated from aviation school at Memphis, TN in June 1944 and also graduated from aircraft engine school in Norman, OK, in 1944. He was also stationed at Mirimar, and Santa Barbara, CA, with a fighter and bomber squadron (234). He was a crew chief for the rest of his service in the Marine Corps on TBF bombers aboard three air craft carriers, USS.Vella Golf 111 receiving one battle star, the USS Badoing Straight CVE 116, and the USS Saidor CVE 117. He had trained at Mojove Marine Corps Base for carrier duty and went to Naval Fire Fighters School at North Island in San Dago. He made four bombing raids on Roto and Three bombing raids on Pagan with our F4U Corsairs and TBF Torpedo Avenger Bombers. From there we went back to Guam for ammunition and bombs and went on to Okinawa and flew cover for the third fleet under command of Admiral William Halsey. He was in the first invasion fleet to take the Island of Japan named Olympic. He went to Sagoma Bay South of Taokyo and went ashore at Yokohoma in LST’s Sept. 9, 1945 and went to Tokyo Bay on Sept. 10, 1945. When with war was over he had logged 50,000 miles in the Pacific Ocean. After the war he went back to Pearl Harbor and trained new pilots and crews off the east coast of Hawaii. Brady was discharged May 22, 1946. After the war he went to Ohio State University and received his GED Diploma in 1946. Brady used his four years from the government for flying lessons at the old airport on West 78 till he had 50 hrs flying time in, and then flew over to Aldermen Air Field at St. Clairsville, Ohio and took his flying test and passed and received his plot certificate from civil aeronautics and administration Washington D.C. Brady’s last fight was in 2009. Brady was married to Mary Louise Stackpole by J.VA Traylor on Eastern Ave. March 4, 1947. His faithful wife went to her Lord and Savior April 21, 2011 after 64 years of love and happiness, and was blessed with three children; James Ronald Smith Sr., who passed away June 11, 1987, Julie Lynne Smith Schwab of Peachtree City, Georgia and Jean Lynette Smith of Milford, Ohio, five grandchildren Col. James R. Smith Jr. of Houston, Texas, Sherry Smith of Columbus, Ohio, Fayetta Leigh Willman of Phoenix, Arizona, Timothy Schwab of Nashville, Tennessee, and David Lee Schwab of Peachtree City, Georgia, five great grandchildren; Paul Brady Schwab, Andrew James Smith, Courtney Lynn Smith, Gillian Willman, and Christian Willman who passed away March 23, 2007. Brady and Mary Louise were baptized by Elmer Taylor at a Gospel meeting at Cameron on October 12, 1950, they were faithful members of the Woodsfield Church of Christ all their lives and Brady has served as Deacon from 1979. In the early 50’s and 60’s Brady spoke at several churches such as Rich Fork, Clarington, Hines Chapel, Hartshorn Ridge, Mechanicsburg, Ozark and at the home congregation at Woodsfield. He also was a song leader for 34 years, and severed as a Deacon in charge of World Bible school for over 32 years and wrote 171 articles for the church bulletin.